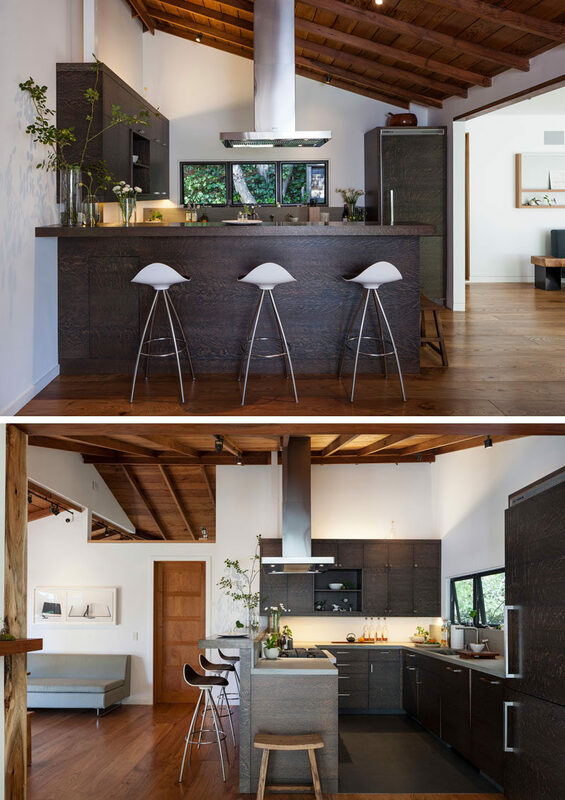 Feldman Architecture have designed the remodel of a small Californian cottage nicknamed ‘The Shack’, and its rustic contemporary two-storey addition. 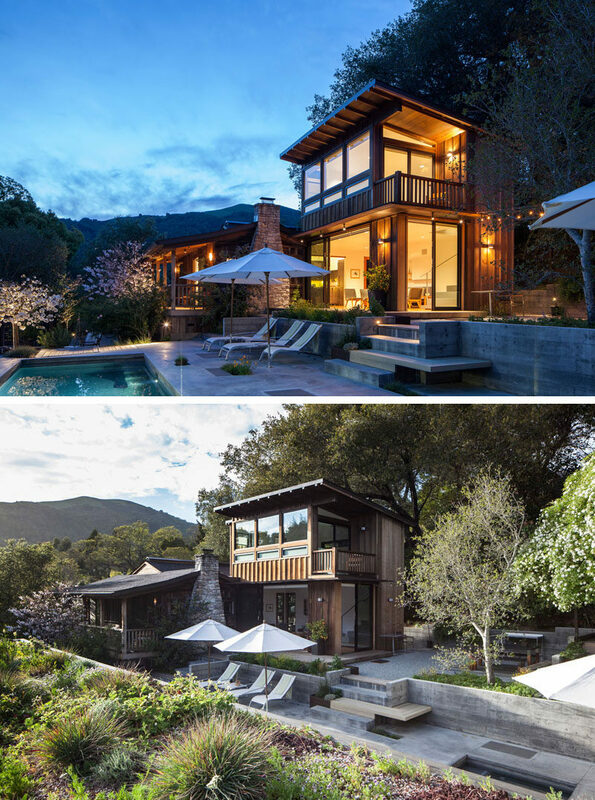 The architects worked together with their clients, well-known photographer Catherine Wagner and designer Loretta Gargan, to design the home, landscape, and interiors, that would create an escape from city life. The new addition has a board and batten siding in a natural stain, to match the rare old growth redwood siding of the original cottage. 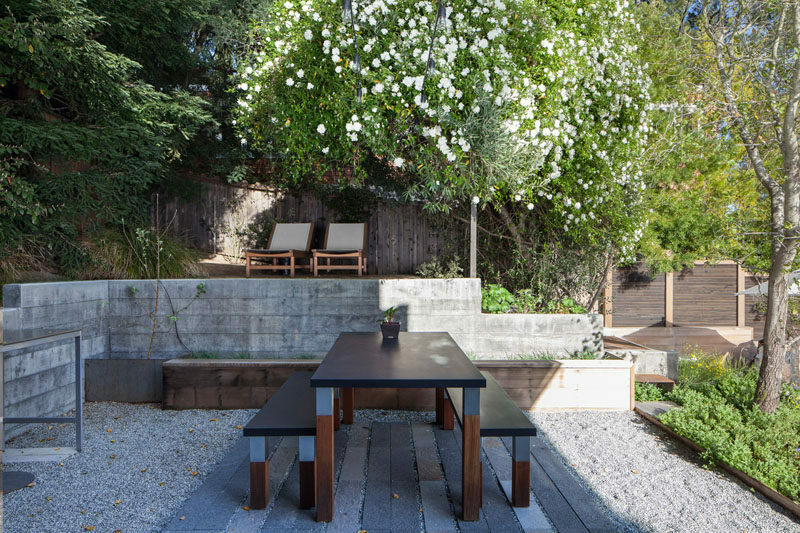 The landscape design of the backyard has several areas for relaxation, like the raised outdoor lounge area within the trees, and an outdoor dining patio. 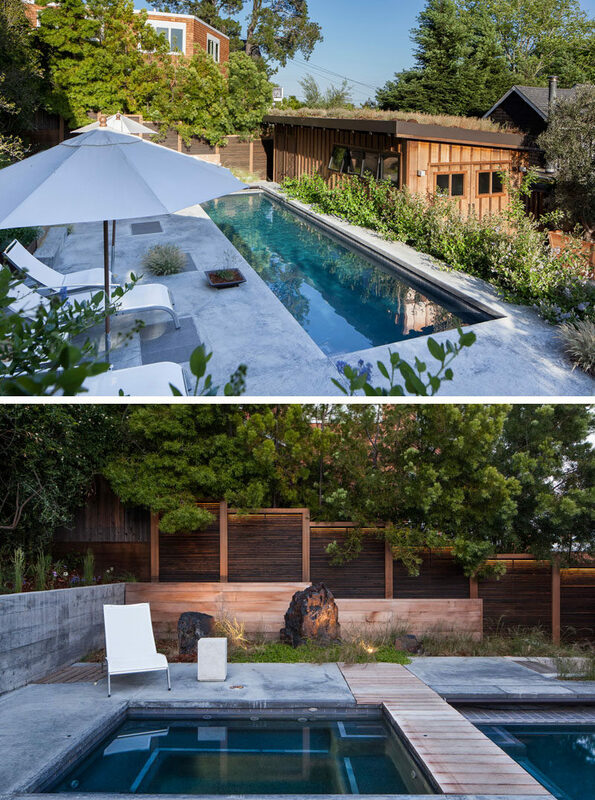 The backyard also has a narrow and long swimming pool with a patio that runs the length of the pool. From this view of the backyard, you are able to see the new garage that has the same board and batten siding as the addition, and it also has a green roof. 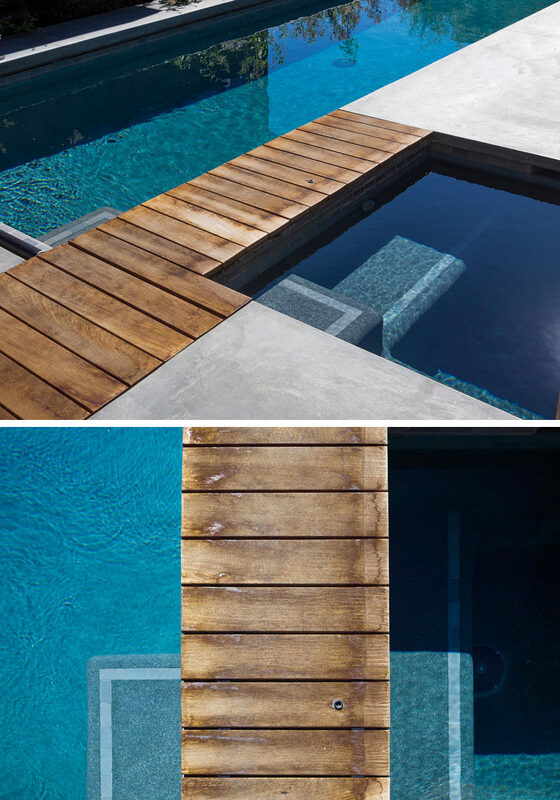 Here’s a closer look at a small wooden walkway that makes it easy for someone to walk between the pool and spa. 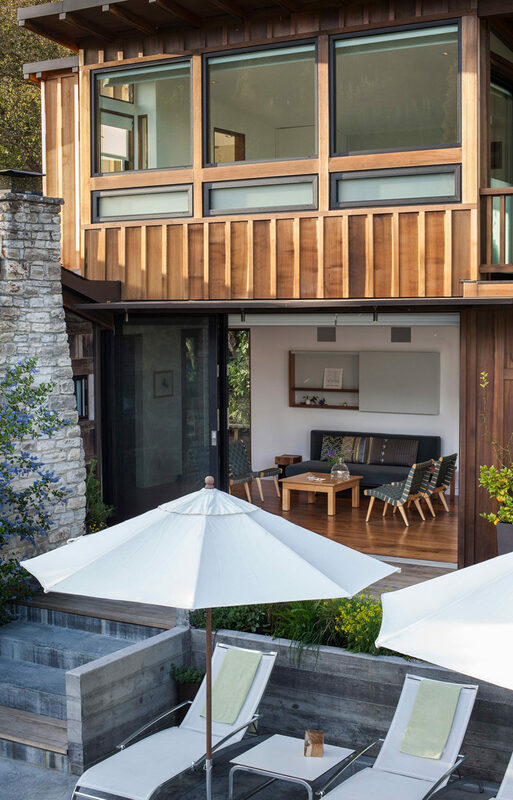 From this angle, you can see the exterior of the Sonoma stone fireplace, which is a prominent design feature of the original cottage. 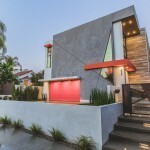 The new addition has a large sliding glass door the opens the living room to the outdoors, creating an indoor/outdoor living environment. 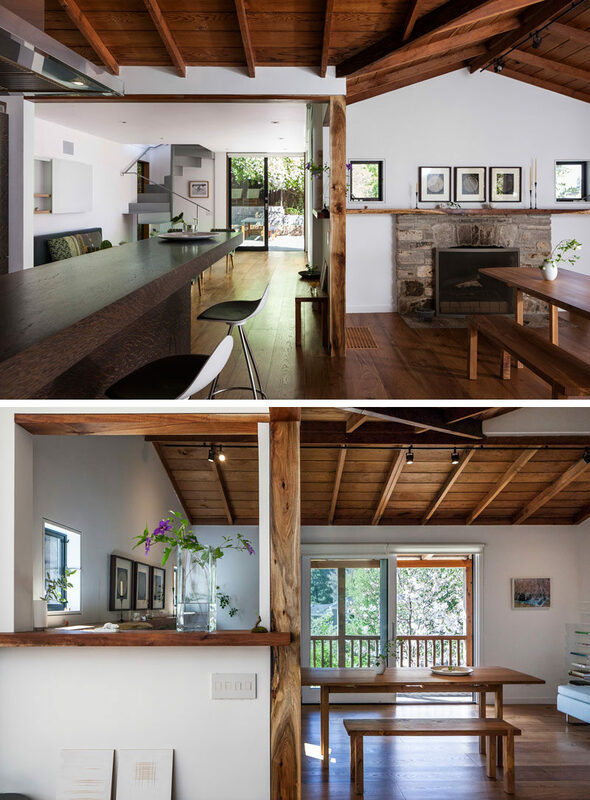 The opening between the living room and the kitchen, is where the cottage and the new addition connect. Given the limited space and the open views from the living room, the kitchen cabinets were planned down to the details, much like a ship’s galley. 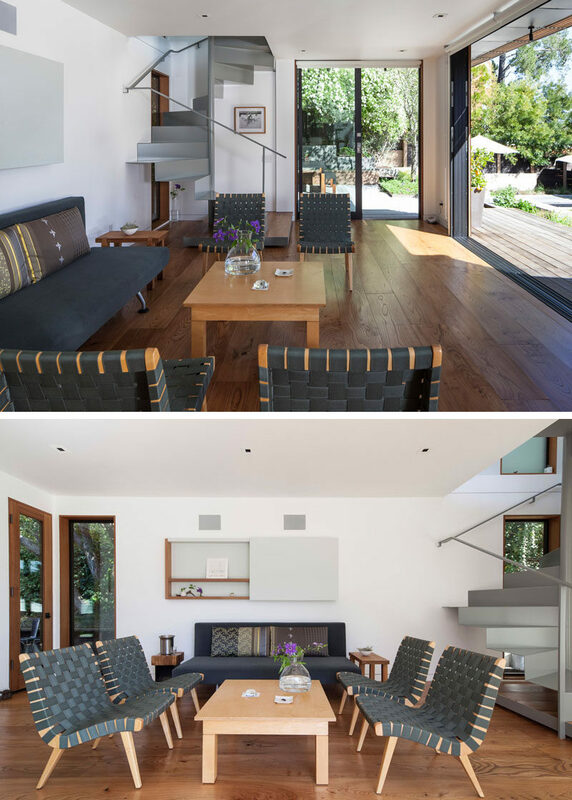 Adjacent to the kitchen is the dining area that’s positioned to take advantage of the Sonoma stone fireplace, and the view of the trees through the sliding door. 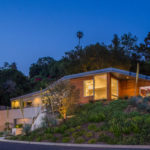 The original Douglas Fir ceilings were revealed as the sloped roof was opened up and inspired the use of reclaimed, local woods for the mantel, floors and interior doors. 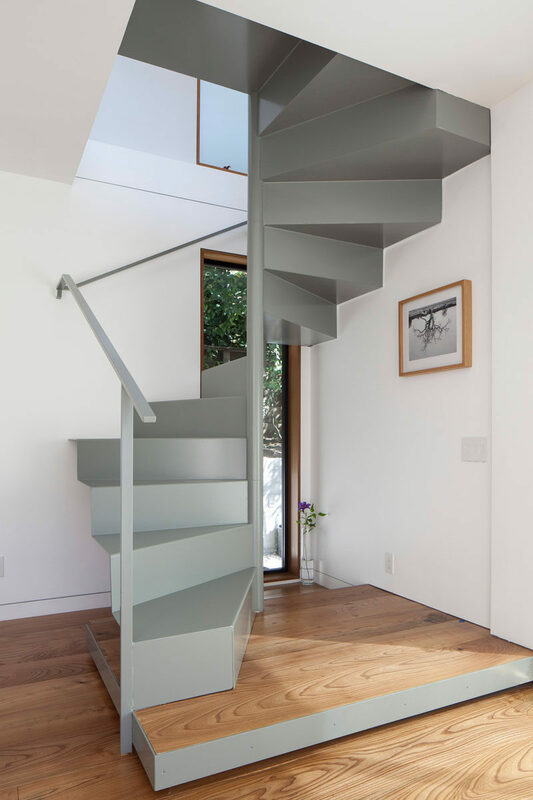 Back by the living room, there’s a minimalist grey steel staircase that leads to the master bedroom. 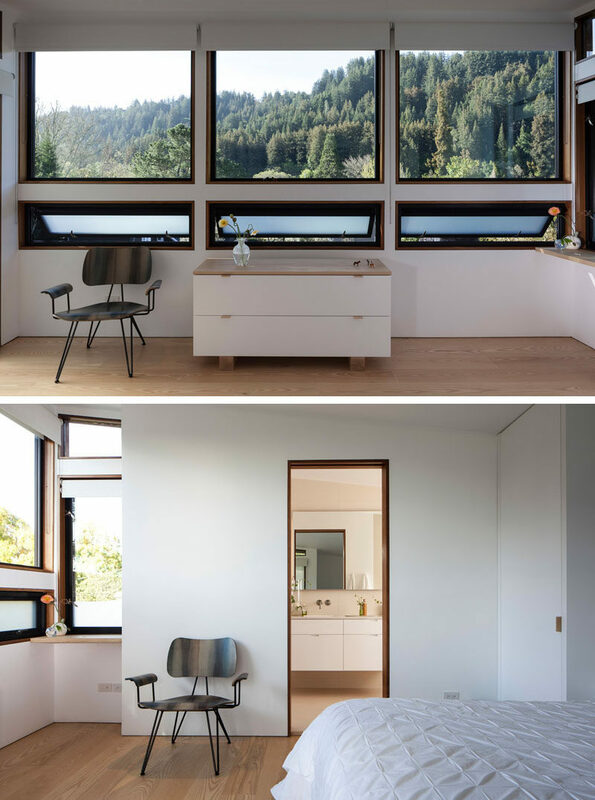 A wall of windows in the bedroom provide sweeping views of Mount Baldy. 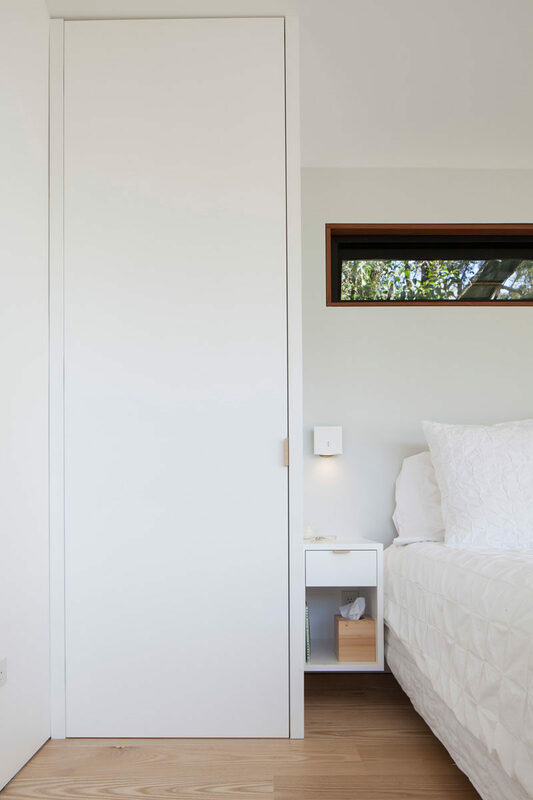 A small closet has been built-in next to the bed to create storage space for the bedroom. 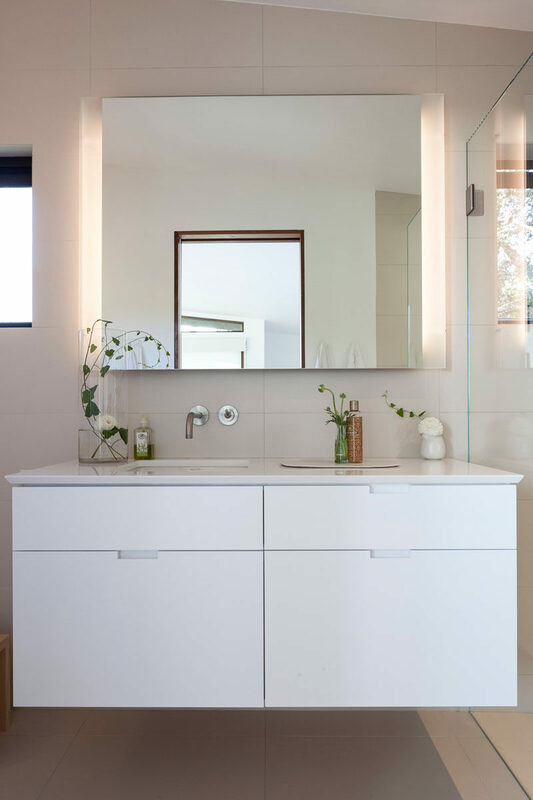 In the ensuite bathroom, the bathroom has been kept bright with the use of light porcelain tiles and a white vanity.